2018 has been a year of many firsts in the world of smartphones. But one thing that polarised the conversations between technology geeks like nothing else, was the notch. 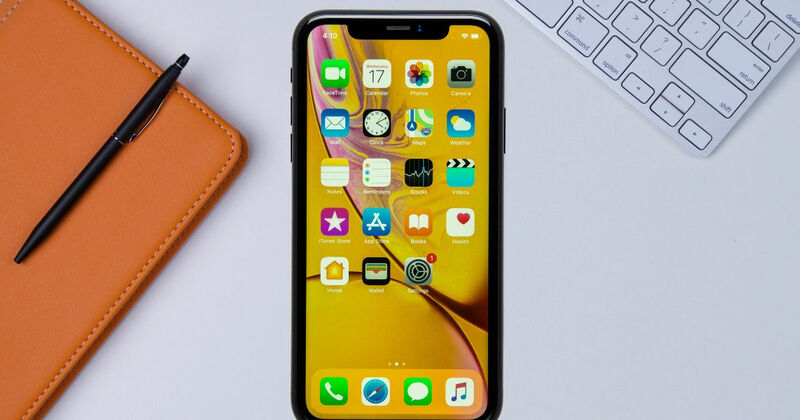 This trend was carried forward from last year, and it seemed like companies were going against public opinion by infusing their devices with these cut-outs, just to make them look more like Apple’s iPhones. But by the mid of the year, there was a slow shift towards getting rid of the notch, and that’s when all the fun started. The notch is not the only story of this year however, as there were plenty of other pleasant and unpleasant trends (depending upon who you ask) that hit the smartphone market in 2018. Let us take you through all of them. With so much content to consume, the kind of immersion that a full-screen display provides is hard to match for a traditional panel that’s flanked by bezels on all sides. Companies were hence tempted to offer a high screen-to-body ratio, but the all-important front camera was proving to be a hindrance. Apple showed the way with its iPhone X (review) last year, and soon enough, all manufacturers barring a few started incorporating notches into their displays. Despite this solution having been found, the efforts to go full-screen were still on, and this led to the emergence of the teardrop notch, which unobtrusively gave space for the front camera to exist. This tiny cut-out was way less annoying than the large one, and was hence well appreciated by buyers. The Realme 2 Pro (review) and Vivo V11 Pro (review) are some examples of this design approach. Released around the same time, the Vivo NEX (review) and the OPPO Find X (first impressions) were two phones that really revolutionised the way manufacturers were looking at the notch problem. Instead of finding space for the selfie camera on the fascia, these phones pushed them on the top surface, and had them pop out whenever you needed them. This excellent design choice later led to another related trend – slider panels. Late in 2018, phones like the Honor Magic 2 (first impressions), Xiaomi Mi Mix 3 (first impressions) and Lenovo Z5 Pro showed us that the front camera can be hidden behind a nifty slider mechanism, thus leaving the front surface to be completely occupied by the display. This is by far the most acclaimed approach, but it does bring in the additional design intricacies of installing a slider mechanism. Who knows what new trend this problem will spawn. The camera apps of most phones that were launched this year, were completely different from what we had last year. AI and machine learning had been the keywords in the technology space since long, and it was time for these concepts to enter our phones in 2018, in a meaningful manner. And they came not just in the capacity of camera features, but also so many other interesting traits. Phones started recognising the objects in your photos and choosing the best settings to click them automatically, and stuff like AI-based image stabilization, portrait effects, lighting effects and much more also became a reality. Apart from camera features, AI also started being used for improving battery efficiency, organising your launchers, and much more. Chinese handset manufacturers were hell-bent on infusing their devices with their own ROMs, and to a large extent, they still are. But this year saw a few of those companies as well as some other players taking the stock Android route. Nokia chose to go with Android One for all its offerings, while Motorola continued to provide near-stock software on its phones along with launching the Android One-toting One Power (review). Xiaomi too kept its separate Android One-based series alive, while brands like Infinix also joined the bandwagon with devices like the Note 5 (first impressions) and Note 5 Stylus (first impressions). But the biggest leap came from ASUS, a company whose software was repeatedly criticised for being too bloat-heavy and having a cluttered interface. It adopted a stock Android interface and reduced the number of pre-installed apps on its phones such as the ZenFone Max Pro M1 (review) and its successor, the Max Pro M2 (review). We also saw the launch of quite a few Android Go-powered handsets from the likes of Lava, Micromax and Nokia, but these offerings weren’t able to draw much attention. All manufacturers are giving utmost importance to security, which is what is leading them to provide more than one biometric authentication method on their phones. So while they are incorporating software-based face unlock technology, they are still hesitant about letting the fingerprint scanner go. This year, this particular module started jumping from the back to the front. And a newfound technology allowed companies to incorporate the fingerprint scanner right into the display, and as the year went on, lots of improvements started coming into its implementation. Phones like the Vivo X21 (review) paved the way, while the others like the OnePlus 6T (review) nearly perfected the technology. Back in 2017, having dual cameras on your phones was a big deal, but this year saw even budget phones latching onto this trend. Which is perhaps what led manufacturers to seek space for more than two camera sensors on the back of their smartphones. These are tuned to different focal lengths, so in practicality, it’s like having switchable lenses for your phone’s camera. They allow you to capture ultra wide-angle shots, portrait shots and even zoomed-in pictures. The Huawei P20 Pro (review) ushered in this trend by holding a triple-camera setup on its rear surface. And later in the year, Samsung, LG and OPPO also jumped the bandwagon. And then there was the Samsung Galaxy A9 (review) which came with four snappers on its back, because why not? The adoption of Type-C connectivity increased this year, but it still hasn’t reached a level where it can be considered universal. 2018 saw mid-range phones increasingly taking the Type-C route, shunning the slow and old micro-USB standard. However, the low-end budget phones have still not started adopting Type-C connectivity. Let’s hope that the coming year will have us witness more and more devices from this category taking the leap. Fast charging phones aren’t just confined to the flagship arena anymore. Lots of handsets from the mid-tier category and even the budget range started infusing their devices with fast charging tech in 2018. While most chose to leverage Qualcomm’s QuickCharge standard, some even developed their own technology. An example is OPPO’s Super VOOC and VOOC Flash Charge, the latter among which provided considerably fast charging. There’s Huawei’s 40W Super Charger as well, while OnePlus made its Dash Charging even faster with the introduction of 30 Warp Charging on the OnePlus 6T McLaren Edition (review). And as glass backs took over, wireless charging phones also started creeping into the market. Google finally embraced this feature with its Pixel 3 duo (review), while almost all flagships supported this functionality. But a major highlight was the Huawei Mate 20 Pro (review), which allowed other phones to be wirelessly charged with it. 2018 has come to a close, but if there’s one thing it has heralded, it’s that there’s no end to innovation in the smartphone world. So let us gear up for foldable displays, punch-hole cameras and more other interesting things that 2019 has in store for us.